With its suit in US District Court against the State of Connecticut, MGM has fired the latest salvo in a cross-border war prompted by the legalization of gambling in Massachusetts. The company seeks to invalidate a new Connecticut law that sets the stage for expanded gaming in that state, but in doing so it may be admitting the threat from the south is a greater than any it has encountered so far. 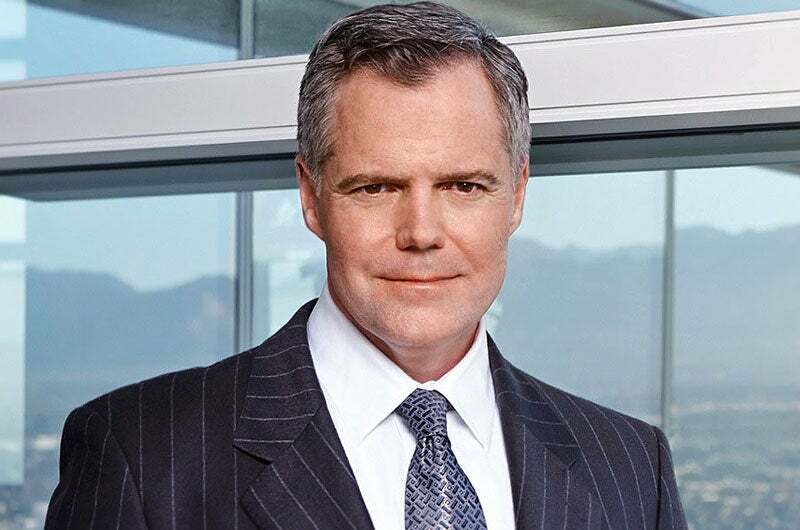 Only in March, MGM CEO Jim Murren mocked Connecticut’s initiative. Now MGM argues the law, which allows the Mohegan and Pequot tribes to negotiate with potential casino host communities along I-91, violates the US Constitution’s equal protection and commerce clauses. MGM, too, requested the right to negotiate, but was rebuffed. By resorting to litigation, the Las Vegas company has betrayed its own fear. Throughout the Massachusetts casino process, MGM and its ilk were on the offensive. Speaker Sal DiMasi’s self-immolation amid scandal cleared a path through the legislature. Access to I-91 to slurp up Connecticut customers made Springfield attractive, while 36 Court Street was mesmerized (or cowed) by its new suitors. Last year, a repeal question made the ballot, but gaming companies and their allies steamrolled the feckless casino repeal effort. MGM could look ahead with confidence. Fatefully, Connecticut has not gone so quietly. The legalization of gaming in Massachusetts and elsewhere centers on making casinos as accessible as malls and muscling in on the customer base of established casinos like Connecticut’s. But like any market, if the gambling field becomes saturated, some ventures may become unviable. MGM Springfield relies on capturing part of the Greater Hartford market that now patronizes tribe-owned Mohegan Sun and Foxwoods. Greater Springfield lacks the wealth on its own to sustain the facility. If the tribes dam the customer flow into Massachusetts, MGM’s model may be torn asunder. Early this year, the Connecticut legislature had been rushing through a bill to establish at least one new casino north of Hartford. 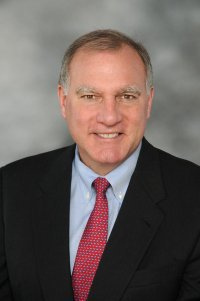 In April, Connecticut Attorney General George Jepsen warned the bill, as then written, could face legal difficulties, including equal protection and commerce clause challenges. Legislators rewrote the bill to address some of Jepsen’s concerns and slow the expansion process. MGM has lobbied Connecticut government for years, ostensibly about online gambling. Yet MGM’s spending spiked after legislators revealed plans to blunt MGM Springfield’s impact. Ethics reports show MGM has spent nearly as much on lobbying Connecticut this year as it had in all of 2013 and 2014. Most of MGM’s lobbying this year has been directed at the executive branch. The surge in lobbying appears driven by MGM hiring Brown Rudnick, the law firm guiding it through Massachusetts’s regulatory process, to help out in Connecticut. The firm may have handled MGM’s filings to negotiate with Connecticut municipalities (Brown Rudnick does not represent MGM in the lawsuit). MGM needed a formal rejection to have standing to sue in federal court. If MGM’s Nutmeg project has a scintilla of legitimacy, they would entail slots, table games, eateries and little else. Mini-MGM Connecticut presumably would be far smaller than $800 million MGM Springfield, but the two would probably share rewards programs. The tribes’ plans and relationships between their current and future facilities are similar. In essence, MGM may propose what MGM’s Murren had ridiculed five months ago as a “box of slots” or otherwise expose the lengths it will go to stop Connecticut. The suit’s merits are debatable. An Indian tribal law professor, speaking to Masslive, suggested an equal protection claim may be a loser as the US Supreme Court has recognized tribes as sovereign nations distinct from a group consisting of one race. There may be a there there in MGM’s other claim…or not. MGM argues Connecticut’s law limiting new licenses to a Foxwoods-Mohegan alliance, violates the US Constitution’s commerce clause by prejudicing out of state bidders. However, that claim may be premature for want of ripeness. Ripeness refers to whether a claim has developed enough for a court to consider it. There may not be any restricting commerce—yet. Connecticut’s new law only allows tribes to negotiate with prospective host communities. Legislators must vote again, probably next year, to actually allow new casinos. MGM’s decision to file suit now, before there may be something to strike down, underscores its worry. MGM’s legal strategy could leverage delays and a PR onslaught large enough to counter an adversary of Connecticut’s size. Polls suggest residents, at best, support expanded gaming tepidly. Protracted litigation could lead Connecticut voters to think the law is broken or gum up expansion long enough for MGM Springfield to open first. Expanded gaming in other states was always a concern, but unable to staunch their bleeding by expansion, the tribes launched a defensive strategy in Hartford. Joined by unions representing casino workers, they had little difficulty recruiting Connecticut pols, despite resignation in the capitol about declining gaming revenue. Connecticut’s alliance has become the toughest rivals any Massachusetts casino bidder has faced—except perhaps Massachusetts AG Maura Healey and Boston Mayor Marty Walsh. Even the retreat following Jepsen’s letter seems more strategic than panicky. Nor will MGM find quarter on this side of the border. Springfield Mayor Domenic Sarno told Masslive it is up to courts. The Massachusetts Gaming Commission and Healey’s office declined to comment. Rattled, MGM faces its first worthy foe alone.